The Permaculture Society of India (PSI) is a recognized non-profit society dedicated to promoting permaculture through educational programs and field projects. 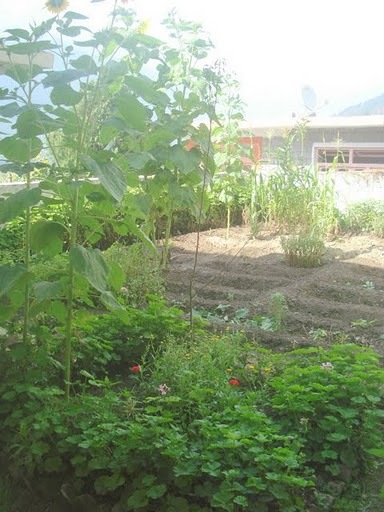 The Society established the Permaculture Institute of India to further these objectives. The non-profit also maintains a trade exchange program between “green” producers, manufacturers, farmers, buyers and consumers. Alongside with other governing authorities and international organizations, PSI is committed to support green projects and knowledge in the local, regional or South Asian areas. - Accredited Permaculture Training (APT), which can be certified (1-4) or degree based (Diploma in Permaculture). This is recognized internationally. Training will include planning, organizing, building and gardening. In partnership with WWOOF India, PSI is also inviting members and non-members to volunteer in projects nationwide. Lodging and food is free in exchange for volunteer work. Click here for more information. Learners and volunteers are always welcome. Those interested in Permaculture courses can enroll at the Permaculture Institute of India. Click here for more information. Volunteers for WWOOF can register here. This entry was posted on Sunday, May 23rd, 2010 at 4:19 pm	and is filed under India projects, Permaculture Courses, Volunteer Opportunities. You can follow any responses to this entry through the RSS 2.0 feed. You can leave a response, or trackback from your own site.